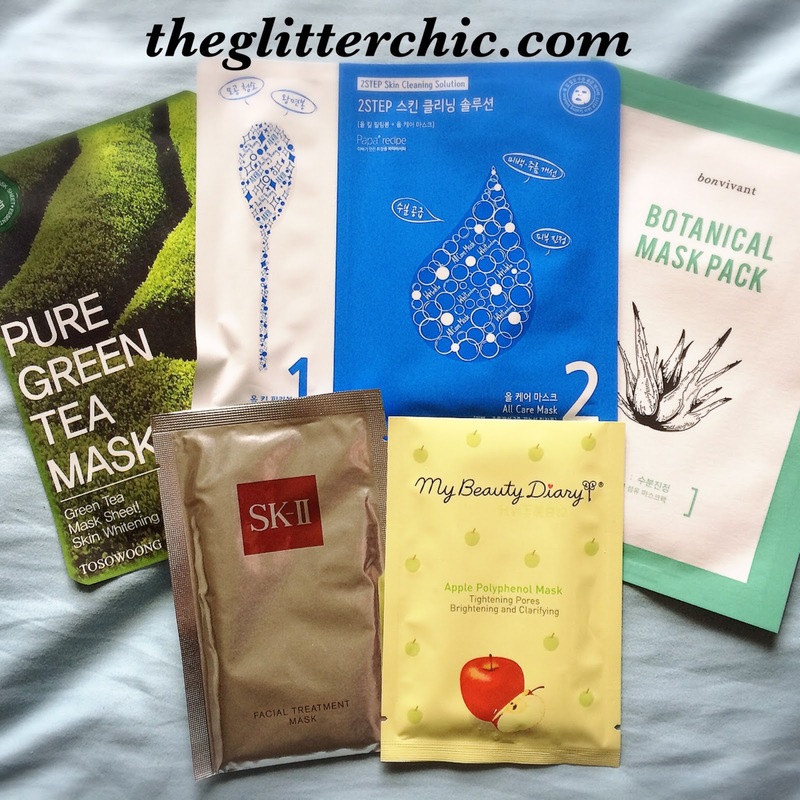 Half Past October: March Sheet Mask #Giveaway! Anyone following me for a while knows how much bad luck our family has had. It's been bad for years but this past year has been completely awful, and as soon as something starts to look up we're set 10 steps backwards again. Last year my husband was in an accident and missed months of work, then missed more work throughout the year while the semi went into the shop for more repairs extending from the accident. This Sunday, his truck started on fire and now it's gone. His job is gone, and while he's looking for a new one, I just really need a pick-me-up. I can't believe the terrible luck we've had - between work, health, and just life in general, I think a giveaway would make everyone feel better. I'm hoping with my affiliate commission, which is earned through the links you all click and purchase from on my blog, I can not only help pay bills but also start offering a monthly giveaway. So to start us off, I'm offering a giveaway for the month of March with some sheet masks! Giveaway ends March 21st at 11:59pm cst. A winner will be drawn within 7 days, and will have 48 hours to respond to my email with a shipping address. I haven't tried any of these masks except for the My Beauty Diary Apple polyphenol, it's my fave for my combination skin! I'm so sorry for all the misfortune your family has undergone over the past year. Here's hoping this is a better year! You're such an amazing and wonderful person to be thinking of others during such hard times. I'm sending good vibes your way and hope things will lighten up for you! Thank you such much for this giveaway; finals are coming up for a college student like me and I think a sheet mask after many long sleepless nights of constant studying will perk me up! Thanks for offering such an awesome giveaway! I've only done 2 sheet masks, so I would love an opportunity to try others. I'm so sorry to hear about the tough times you and your family have been having. It shows a lot of character to be so generous when things aren't going so great. I hope things start looking up for you soon! Lots of love to you hun, I hope things turn around for both of us too! I hope things have been looking up since you've written this post. I find it so noble that you're still in a place of giving despite everything that's going on. It says so much about you. Remember, things always get better and you're surrounded by loved ones who will help you along the way. We're still waiting for my husband to start his new job, and I haven't been able to find additional work yet, but we're still trying to stay positive! I just tried the bonvivant mask and the fit is perfect on me so of course would love more! Thanks for the generous giveaway! The Bon Vivant masks are so great! Love love love sheet masks. This would be a treat. I love sheet masks too! Good luck hun! Looks like a good giveaway, thanks Samantha! These are just masks that I really enjoy using right now - and the SK-II I actually received a box of to review but want to share one with someone because I know how ridiculously expensive they are lol. I'm so glad you love the group - good luck to you!